So you’ve booked your ticket to Hawaii? I hope you’re excited because it’s going to be an amazing tropical beach vacation and you’ll never want to come home! Take it from someone who vacationed there once, got home, cried, and bought a one-way ticket back. It’s been a few years since I lived there and I still dream about sipping mai tais while enjoying the most beautiful sunsets in the world. 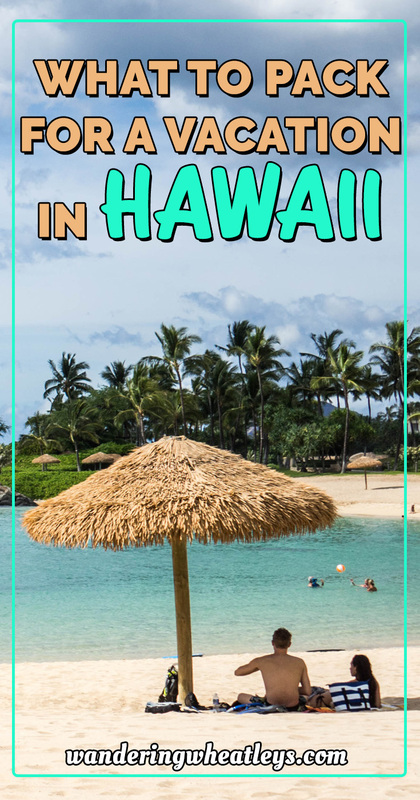 Read on to learn all about what to pack for your upcoming Hawaiian adventure, but be sure to save some room in your bag because you’ll most certainly want to shop! Hawaii is made up of 8 major islands; Hawai’i (also known as “Big Island”), Maui, O’ahu, Kaua’i, Moloka’i, Lana’i, Ni’ihau, and Kaho’olaw. The most popular islands to visit are Big Island, Maui, Oahu, and Kauai. Ni’ihau has a crazy story – worth reading about but you can only visit if you arrange a helicopter tour. Hawaii is considered to be a US state but by all accounts and purposes, it really is it’s own country. The loss of culture and heritage can be seen and felt in the Hawaiian people. They have their own language containing 13 letters, 5 vowels, and 8 consonants, but it’s been all but lost over the decades. You probably won’t hear people speaking Hawaiian while visiting but many people speak “pidgin” which is essentially difficult-to-understand-English. There are only minor changes in the temperature in Hawaii throughout the year. There are only really two seasons; summer is from May to October and winter is from November to April. Rain is quite common during the winter months but it is fairly easy to drive somewhere else on the island and find sunshine as the rain is localized. Average summer temperatures are around 85° F and winter temperatures are around 78° F. You will probably find that evenings in the winter are cool so if you visit during that time you may want to bring a sweater. Average water temperature near the shore in Hawaii is 74° F which makes it an ideal place to swim and surf. The waves on many North Shore beaches can be quite large in the winter which is also when you’ll see surf competitions at some of the famous surf breaks. The easiest way to get around any of the Hawaiian islands is to rent a car and drive. In Maui the “Road to Hana” is legendary and impossible to do without a set of wheels. The Big Island is massive and the interesting destinations are quite far from each other. And while public transportation and Uber is available on Oahu, we recommend splitting time between the North Shore and Honolulu which is a very long bus ride. There are also countless amazing hikes that would be very difficult to get to without a car. If you do rent a car, be sure to leave all of your things in the trunk when you are parked. Rental car break-ins are quite common in Hawaii. You’ll be spending a lot of time lounging on the beautiful beaches of Hawaii so bring a large beach tote that you can also use as your carry-on for the plane. This cute straw bag by Beach’d is water resistant, durable, and has plenty of room to hold all of your favorite goodies for the beach! You’ll probably wear a swimsuit every day during your Hawaiian vacation so bring a few to have some variety. Most of the bars along the beach are fairly casual so you can just throw on a cover-up and your flip flops and head inside for a cocktail around happy hour. This vintage-style pineapple suit by Aixy is darling and super flattering. Be sure to pack a cute kimono cover-up to throw over your swimsuit for wandering around town or to keep your shoulders from burning. A baseball hat is the perfect thing to have on hand, not only to shield your face from the sun’s rays, but also to hide your hair if it doesn’t dry so well after a day in the ocean (like mine). Bring one from home or, better yet, pick one up at one of the many surf shops in town! Planning on attempting to surf the world famous waves in Hawaii? It’s definitely worth either taking a lesson or just renting a board and giving it a try on your own (if the waves are small enough). You’ll want a rash guard with SPF to shield you both from the sun and from rubbing your bare skin against the surfboard every time you try to stand up. These are often available to rent with your surfboard by various vendors on the beach but they usually smell terrible! You’ll pretty much live in your swimsuit and flip flops in Hawaii so be sure to pack at least one pair! Protect those sensitive retinas from the Hawaiian sun with a cute pair of sunglasses! Depending on what hotel you book in Hawaii, they may provide you with a beach towel to take to the beach. But just in case, best to pack one that is lightweight, compact, and easy to throw in your bag. Whether you spend your afternoons sipping cocktails by the pool or lounging on the sandy beach, you’ll want a pool floaty nearby. Not just for floating in the water but also to add a little something to your epic Hawaiian photoshoots! If you’re planning on spending several hours at the beach, you’ll probably want to bring some snacks and drinks to enjoy. Pack a few vacuum insulated drink containers to keep your hot drinks hot and your cold drinks cold. These tumblers by Simple Modern won’t sweat or be hot to the touch. Salt and sand can be a killer on your hair and skin. Be sure you’re protected against the elements with sunscreen, after-sun cooling lotion, and leave-in conditioner with UV protection! Of course you’ll need a fake hibiscus flower in your hair to complete your Hawaiian look! Don’t worry if you forget to pack one though, you can buy them in every size, shape, and color all over the islands. You can find all the toiletries you’ll need at stores in Hawaii. In Honolulu there is an ABC store on pretty much every corner and they cater to the needs of tourists. However, everything is more expensive in Hawaii so better to bring your important toiletries from home. Hotels generally provide hair dryers for their guests but just in case, best to bring a travel hair dryer and a 2 in 1 travel curling iron and straightener for styling your hair after a day in the ocean. The temperature of the water near the shores of Hawaii is a very pleasant 74° F so it’s perfect for swimming or snorkeling. If you are a snorkeling fanatic, better to bring your own gear so you don’t have to worry about finding a rental shop on every beach. You’ll love how well this full-face mask fits your face to keep the water out. Hawaii has some amazing snorkeling opportunities and you’ll want to capture the vibrantly colored fish with a waterproof camera. GoPro HERO6 is the most popular but the price point is quite high. There are plenty of similar options available that take high quality photos but don’t cost as much. If you’d rather not invest in a waterproof camera but still want to get some shots in the ocean, pick up a universal waterproof case by JOTO. This case will also keep it from getting sandy during all those trips to the beach. If you’re planning on going on any boat trips around the islands, invest in a high quality dry bag that’s large enough to handle your camera and other gear. It will also come in handy if you visit Hawaii during the rainy season and get caught in a downpour. You’ll be spending long days lounged on one of the many beaches in Hawaii so you’ll undoubtedly need some entertainment. Invest in a set of waterproof bluetooth portable speakers so you can listen to your favorite playlists or podcasts. If you’d rather enjoy an audio book or a podcast at the beach, don’t forget a set of wireless earbuds. This set by Tranya features Bluetooth 5.0 for seamless connectivity. They have an amazing sound quality and are easy to use as they automatically turn on and off when removed from or returned to their case. They have a 3-4 hour battery life and even come with a portable charging case. Plus they are quite a bit cheaper than the popular Apple earbuds. Download a few of our favorite podcasts or get a subscription to Amazon Audible for access to a huge selection of audio books! 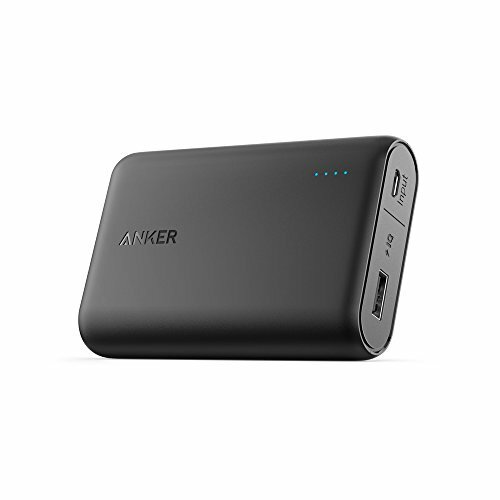 If you plan on using your phone to play tunes all day at the beach, be sure to invest in a power bank to keep it from running out of juice. This one by Anker is small and lightweight so it’s easy to toss in your beach bag before leaving your hotel. Heavy hiking boots will be too hot in sunny Hawaii. These hiking shoes by Merrell are lightweight, super durable, and have a breathable mesh lining to keep your feet cool. They also have great traction if you plan on hiking to any Hawaiian waterfalls where the trail can be slippery. You may want to invest in a pair of water shoes if your hikes will involve several water crossings or scrambling up small waterfalls. You’ll want to pack a small daypack if you plan on hiking in Hawaii to hold a few necessities. 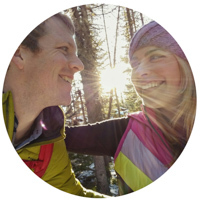 Water, snacks, sunscreen, and your hiking guidebook to name a few. You can also use this as your carry-on on the airplane. This backpack has plenty of pockets to keep you organized and comfortable, padded straps. Pick up a few guidebooks to get yourself acquainted with the islands prior to your trip! Your driver’s license if you plan on renting a car. To check the weather before you leave. You may want to bring some long pants or a jacket if you visit in the rainy season. To make sure you’re up-to-date on immunizations prior to leaving on any vacation. Are we missing any items that you like to pack for your Hawaiian vacation? Let us know in the comments so we can add it to the list!